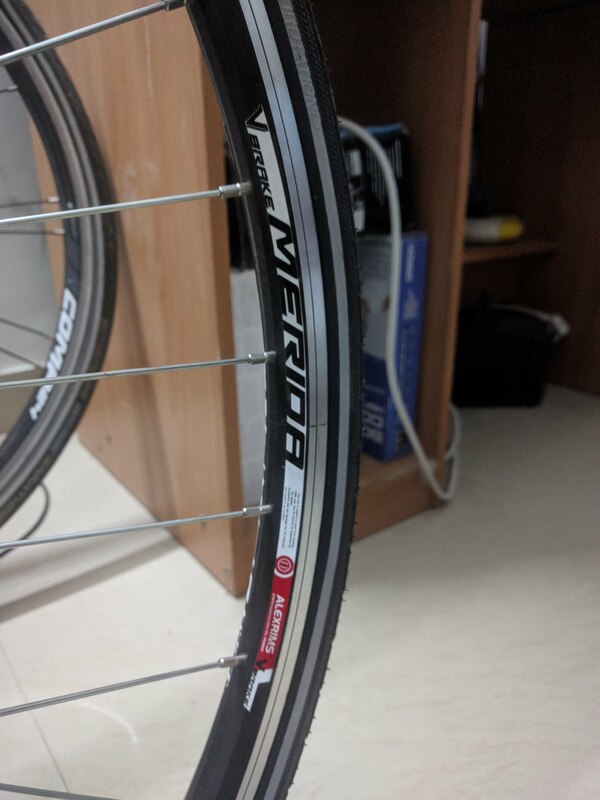 About an year ago, I embarked on updating my hybrid  with a better groupset (Deore M61x). 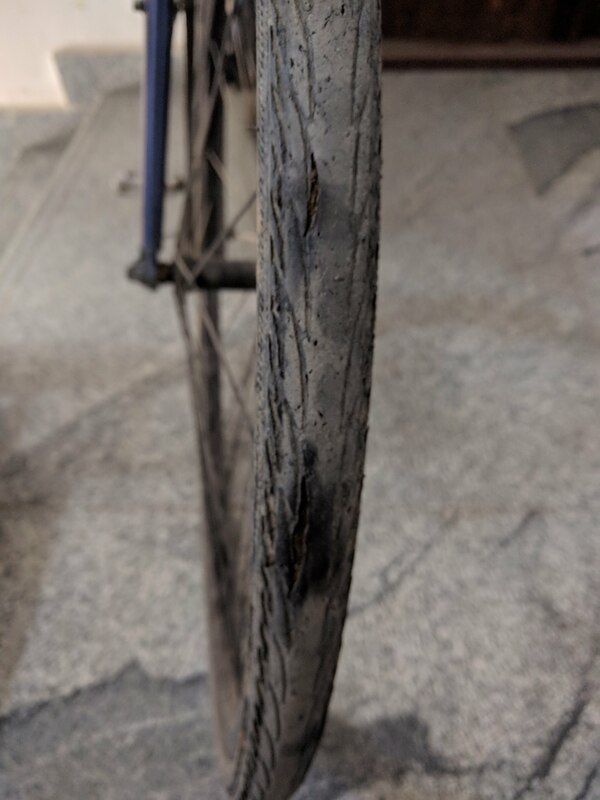 It was during that time that I had observed that the braking surface on my rims were absolutely gone. 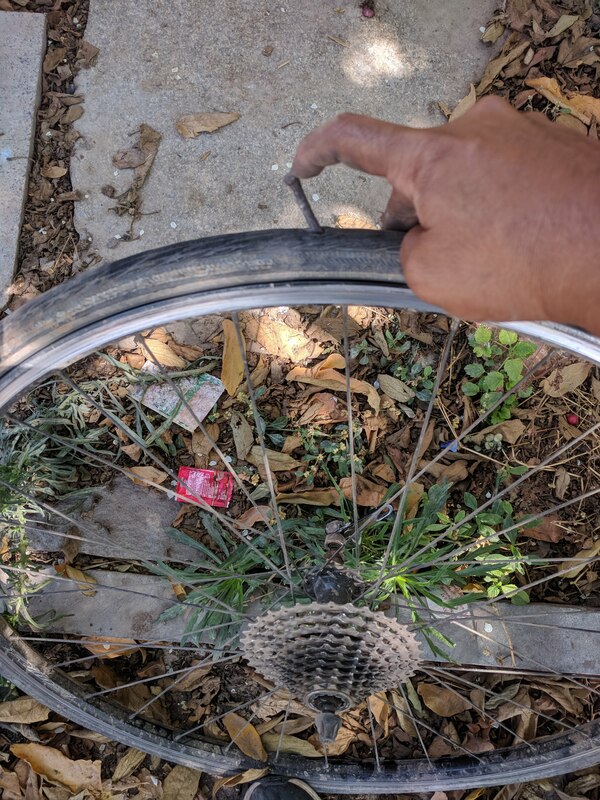 The nail in the coffin came with a nail in my rear tyre. This insignificant piece of rusted object lying on Outer Ring Road had caused a horrible puncture on my way back from Hesaraghatta. 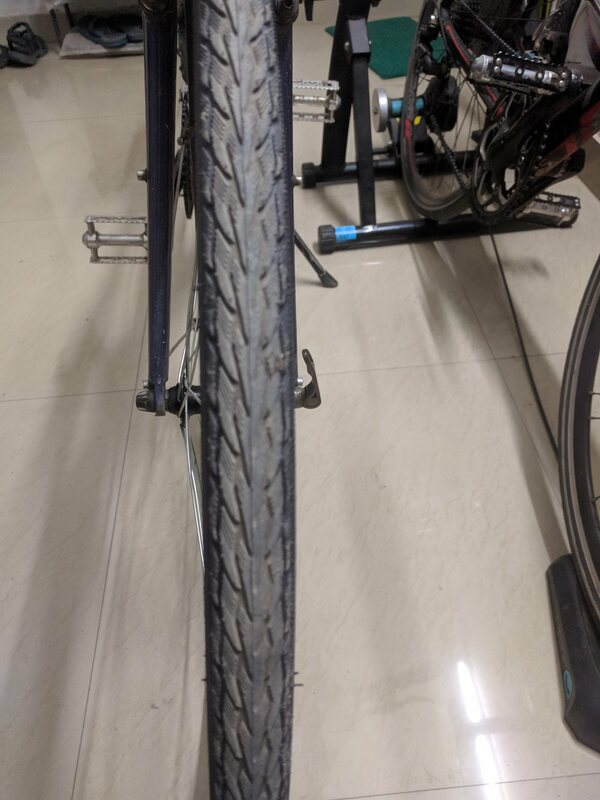 As the old saying goes, “an issue is a non-issue until you notice it.” I was so terrified of my tyres opening up that I rushed to Crankmeister  and asked them to change the tyres. They didn’t have Delta Cruisers in stock. I didn’t want anything else and I had good reasons for that . I was disappointed and was scared to ride ten kilometres back home. “You rode all these months with this. Surely you can ride another week,” Nikhil, one of the owners of Crankmeister, advised me. I left the old wheels and the old tyres at their shop. They would be disposed off .